Happy 4th of July from Signature Properties of Vermont! There are tons of fun events around our area celebrating the holiday. Which are you attending? Hinesburg: Kick start the holiday weekend with fun runs for the whole family! Choose the mileage that works for you: 10k (6:30 p.m), 5k (7:00 pm) or 2k (7:10 pm). North Hero: Come to Knight Point State Park for an evening of food, music and fireworks at dusk sponsored by the Islands Center for Arts and Recreation. Williston: Enter the annual town 5k (registration at 4:45, race at 6, $8 entry fee) and run on over to the Town Green for an old fashioned ice cream social and band performance! Colchester: Come prepared for a full day of family fun and activities! Begin the day at 8:15 with a fun run (Meeting at U.M.S) then head into the village for the annual parade (11 am). In the evening enjoy live music at Bayside Beach from 6:45 until the fireworks begin. Come early to save a prime seat! Essex: Head over to Maple Street for tons of food, music and children's activities....don't forget your bathing suit for the pool! Fireworks will begin at 9:30! Grand Isle: Go "Back in Time" at this year's fourth of July celebration at the town Recreation Field. Be a kid again with potato sack races and other old time activities before playing or watching the town softball game. You'll be hungry after so plan on stopping by the chicken barbecue being held in the afternoon! Hinesburg: The celebration begins at 11 with the annual town parade. From noon until evening the whole family can find fun, food, music, face painting and more at the carnival held at the high school. Then swing by the Fire Station for a delicious chicken barbecue beginning at 4. Fireworks begin at 9:30--bring your blanket and get there early for a good spot! Milton: Pick your spot along the parade path (beginning at 11 am at the elementary school) ending at Bombardier Park where food vendors and entertainment galore will be available all day--including live music and a hypnotist! At 6 pm the 'Milton Midway' opens for business with games, tethered hot air balloon rides, antique cars on display and raffles! You can enjoy the chicken bbq put on by the fire department as you prepare for the fireworks display beginning at 9:30! Shelburne: Prepare to be delighted by the Vermont Symphony Orchestra's performance of festive, celebratory music at the beautiful Shelburne Farms. Plan to come early (doors open at 5:15) with a picnic to find a good seat. Enjoy the music, scenery and company until the fireworks begin! South Hero: Celebrate the "Bounty of Grand Isle County" at this year's parade beginning at 11 am. There will be antique cars, lots of floats and bands celebrating the holiday! Parade begins at the corner of Landon and South Streets. Stowe: Prepare for a day packed with multi-dimensional fun! There will be miles of sales along Main Street and Mountain Road shops, a dunking booth, food, ice cream music and events (including a beautiful parade!). The annual fireworks will be held at Mayo Field--pack a blanket and picnic or eat before at any of the area's many restaurants. Williston: The annual parade begins at 10 am kicking off a day of fun! Stop by the arts and crafts show at the elementary school (9 am-2 pm). Stop by the Fire Department for an open house from 11 am- 2pm and enjoy food, games, activities and music at the Village Green all day. The fireworks begin at dark at the Allen Brook School! St. Albans: The Great Race Triathlon will begin the day at 9:45 am! 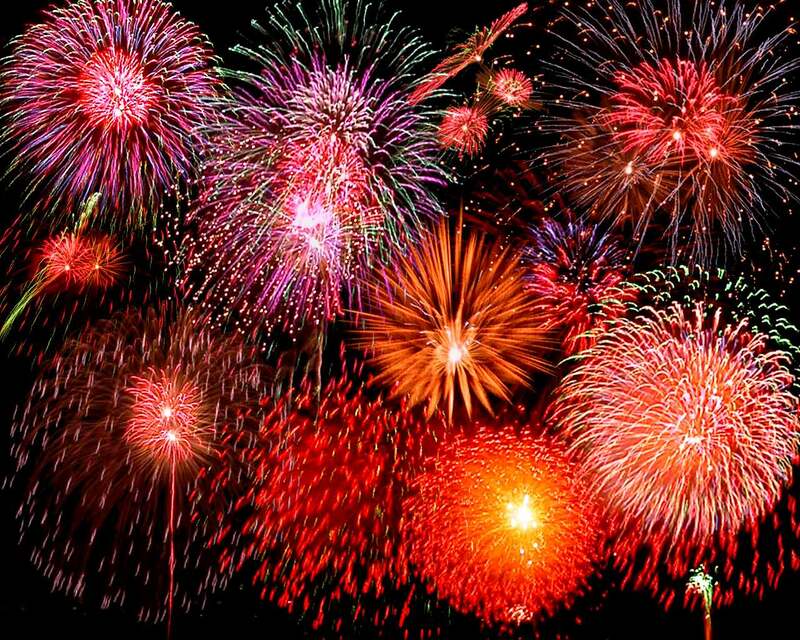 Later, enjoy the Bay Day fireworks at the Saint Albans Town Bay Park beginning at dusk. Enjoy your holiday and celebrate safely!